***** Krispy Kreme Doughnuts, 590 Northeast 167th Street, Miami, Florida 33162, (305) 949-6135. 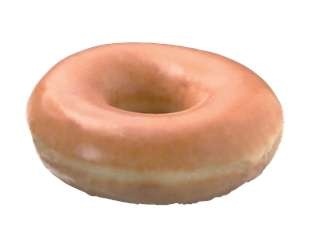 As I’m sure- most of you know that Krispy Kreme Doughnuts is a “national-international” donut chain with stores in the United States and abroad. Really don’t have the time or inclination to go into detail, but the chain- which has been around since 1937 found its “growth” stunted a few years ago, when its management was caught-up in a public accounting/business scandal. Suffice it to say, many think (me included) that the new management, installed just a few short years ago, has turned Krispy Kreme Doughnuts’ business around. Now, I could be wrong here, but I think that Krispy Kreme’s stock currently selling at $6.39 (KKD) is an absolute steal. Do your on own DUE DILIGENCE. You can get details on Krispy Kreme at www.www.krispykreme.com. As for Krispy’s donuts…a recent outing to a Miami location convinced me that its hot-glazed donut is one of the most delicious “things” known to mankind. To be perfectly honest with you, Dunkin’ Donuts’ coffee is better, but Krispy’s donuts are better. Just so you know, my taste test also included, cake and cinnamon twist donuts–also delicious. For the record, I bought KKD yesterday. Like I said before, I think that “new” management has finally gotten a firm hand on this turnaround situation. I also like the fact, that huge foreign expansion plans appear to be in the works. By the way, the Miami location listed above, is open 24/7. You are 10000% correct that a Krispy Kreme original glazed hot out of the oven is a thing of beauty. You are also right, that previous management screwed up a great company. I also agree that based on recent quarters the company has been turned around. I’m no stock expert, who is? But I do play the market and research things very carefully. Sometimes I have some nice winners, and sometimes not. I think that you maybe onto something with KKD. No question that the mgt team now running the business had quite a bit to straightened out and seems to have done so. I like the fact that the chain has huge European and foreign expansion plans. The US is overbuilt with chains so overseas is the new frontier. Something that I came across is the fact that the CEO of Green Moutain GMCR owns about 11% of KKD. Now nothing sure here, but I think that GMCR could sometime down the road buy KKD and take control. I’m in at $6.33 this morning. kkd donuts run circles around dd. kkd got to get better coffee. jeff, did you see this morning’s news that the co. got a new COO who formerly had some big positions at fedex? jeff, stock is 6.30. you recommended at 6.39. not too good don’t ya think? I see that after you mentioned the stock it traded up to about $7.60 but since has fallen as low as $6.20. Do you still think its buy? It really isnt doing too well. Last time I checked it was $6.40. stock close yesterday 6.36. not looking good. stock closed at 8.35 yesterday. jeff, made a hit here. bought at 6.26 and sold yesterday at 7.34. thks. i love their glazed donuts. Jeff, the stock right now is 12.67, great call. i’m in at 6.33. I have been eating KKD’s since the mid 70’s. A couple of years ago, my brother met me at our fathers house in Daytona Bch, for my Dad’s birthday. We went out had a huge dinner, then I suggested that we go to KKD. My brother never had one, and said that he couldn’t eat another bite. When we got there, the “Hot Donut” lite was lit. They were so go, my brother ate five of them, after saying he couldn’t eat anything else.